Designed to provide reliable and stable copper Ethernet signal conversion into fibre optic Ethernet. IMC series is mainly DIN-Rail mountable with redundant power input supporting 10/100/1000BaseT(X) to 1000BaseSX/LX/LHX/ZX. 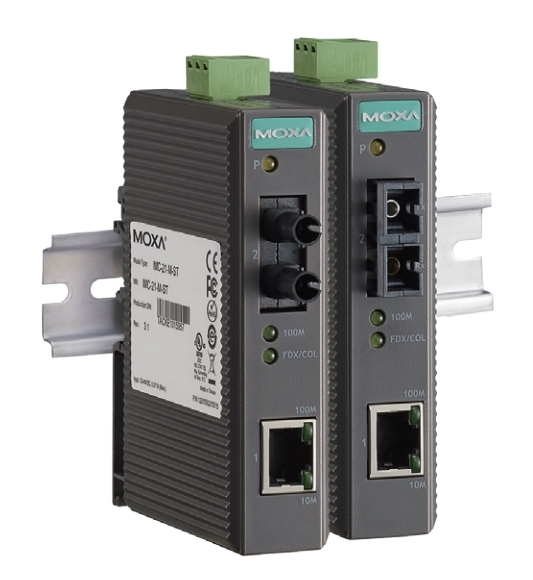 Moxa IMC series is also designed for hazardous locations compliant with Class 1 Div. 2/Zone 2, IECEx. 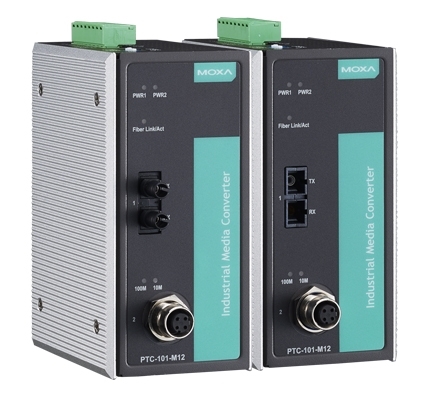 On the other hand, Moxa TRC-1900 series is a 19-inch rackmountable chassis which provides 19 slots for media converter modules from the CSM-200 series of Ethernet-to-fibre modules and the TCF-142-RM series of serial-to-fibre modules. TRC 190 series is hot-swappable with dual power input for redundancy. 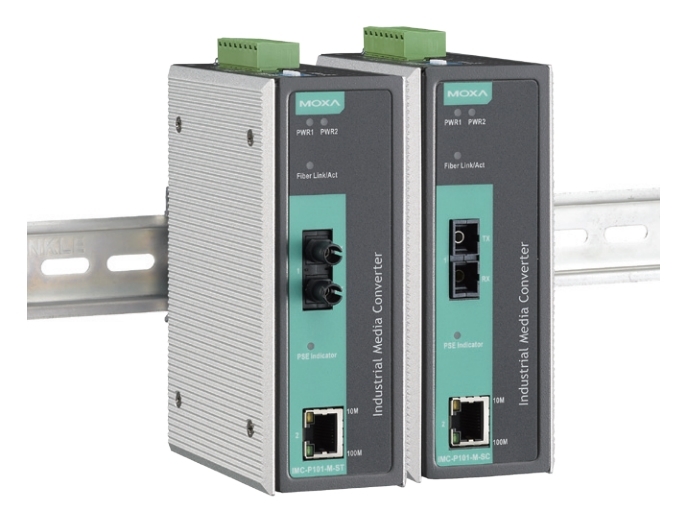 Entry-level industrial 10/100BaseT(X) to 100BaseFX media converters. Industrial 10/100BaseT(X) to 100BaseFX media converters. 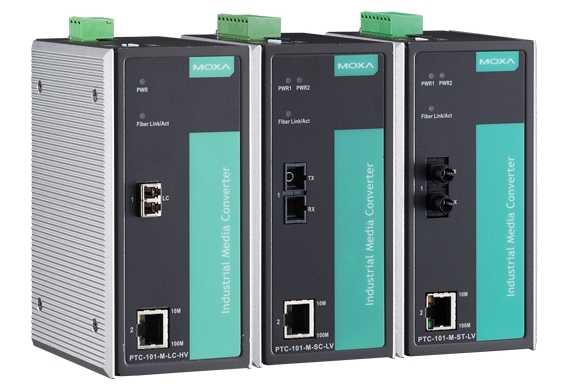 Industrial Gigabit Ethernet-to-fiber media converters. 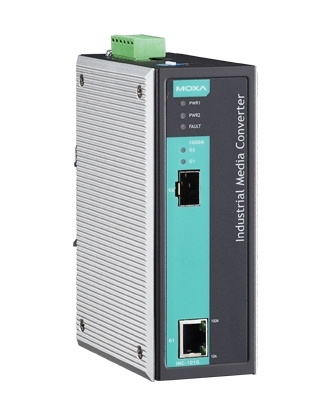 Industrial Gigabit Ethernet-to-fiber media converter. 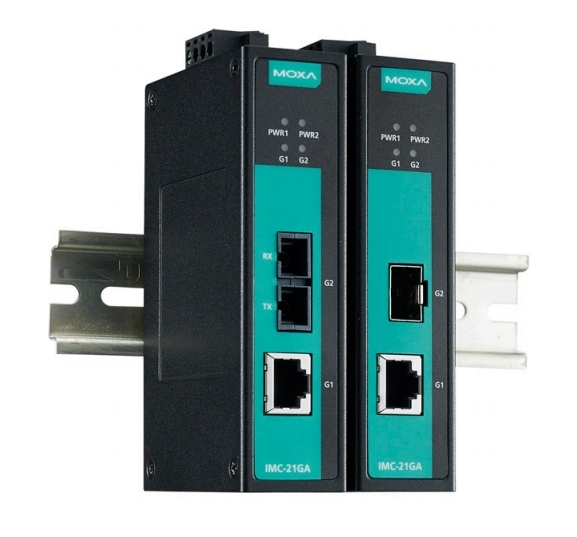 IEC 61850-3 and Railway Ethernet-to-fiber media converters. 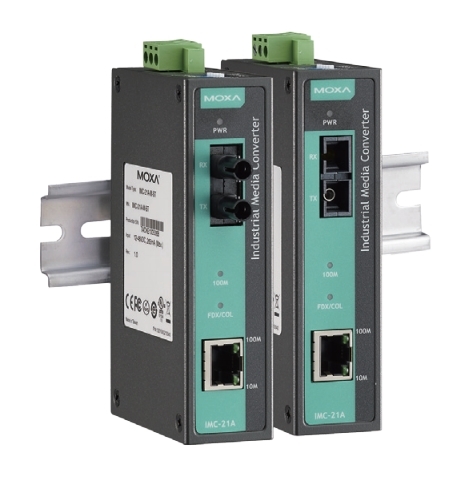 EN 50121-4 Ethernet-to-fiber media converters.